The locations to drop off coats and receive the season pass vouchers are list above. Once collected, the coats will be brought to a cabana at Wet‘n’Wild Las Vegas, 7055 S. Fort Apache Road, and representatives from the charities will pick them up to distribute to those in need. 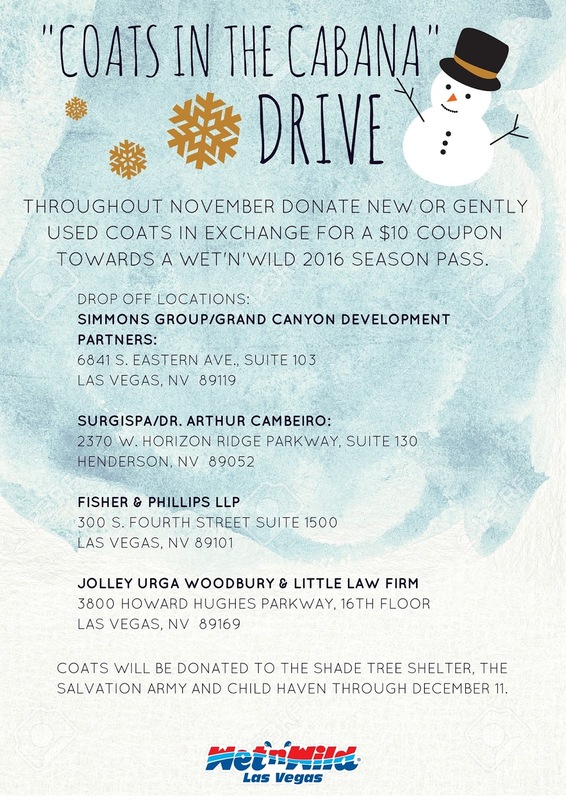 Coat donations will be accepted through December 11, 2015.